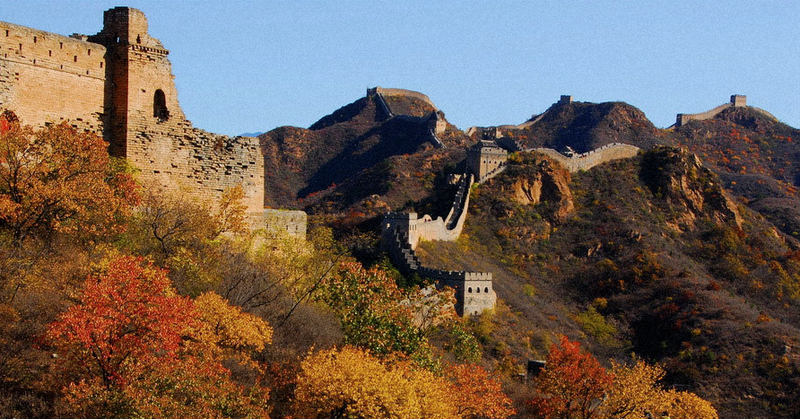 An 7-km hike from the Wild Jinshanling to best preserved staircases of Jinshanling Great Wall. The scenery here is stunning and the photo opportunities are endless. For this trip, we start a bit later than usual to avoid the strong afternoon sun and at the same time catch the sunset on the Great Wall at the Jinshanling General Tower. From our meeting point (lama temple subway station exit B) our van will head North East for about 2 hours to the border of Beijing and Hebei province where we will have lunch at an authentic farmhouse with view on the Jinshanling Great Wall. A small trail will bring us pass an excellent view point and 15 minutes later we are on the Wild Jinshanling Great Wall. 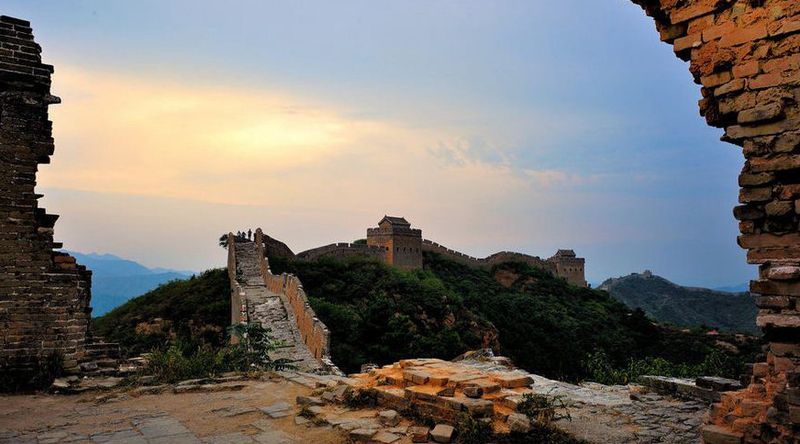 The 10-km long Jinshanling Great Wall shows some amazing defensive features like barrier walls, battlement walls, watchtowers, gun emplacements, shooting holes and horse blocking walls. We continue our hike all the way up to the General tower with its intoxicating views over all 67 watch towers of the Jinshanling Great Wall. 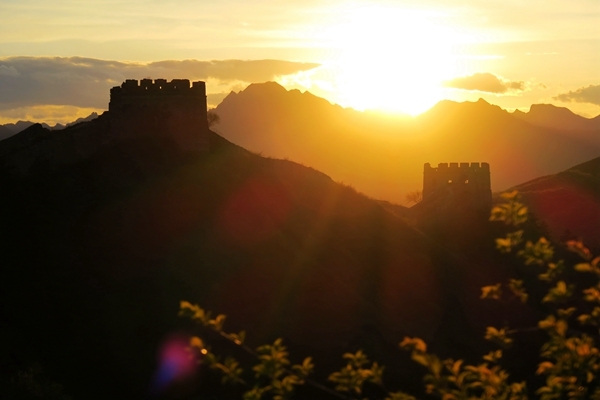 We take our time for some amazing sunset pictures and continue our hike down on the Great Wall.